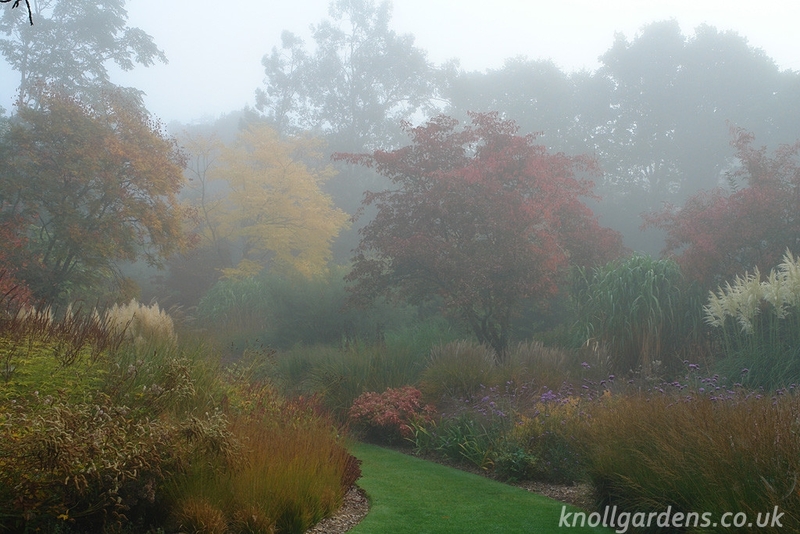 It is a most beautiful time of year; and in spite of the recent wet and windy weather the garden is looking if anything more wonderful now as the temperatures gradually drop and the plants move day by day into their full autumn garb. 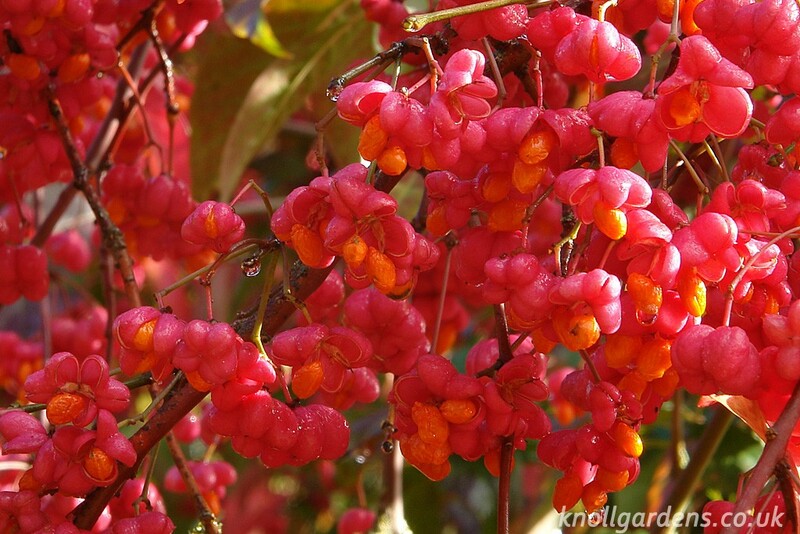 Take for example the spindle trees whose incredibly shaped fruits are really a work of art in themselves. 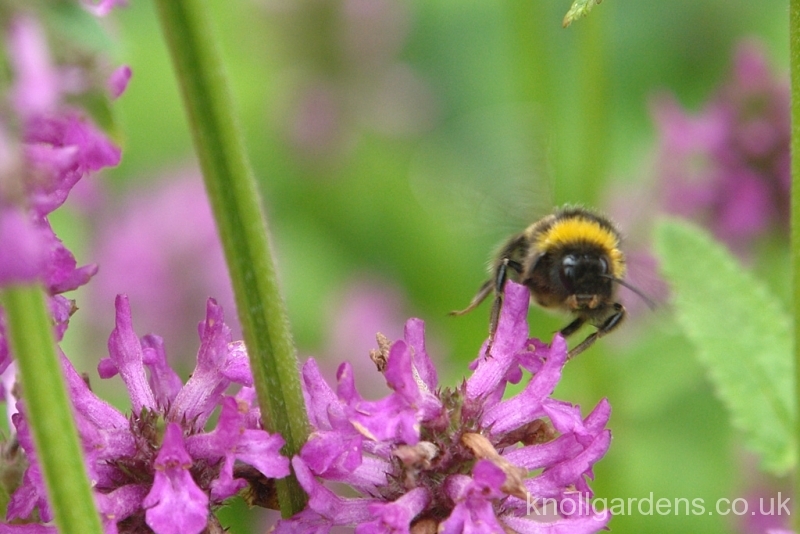 We have several in the garden and at this time of year they really come into their own. 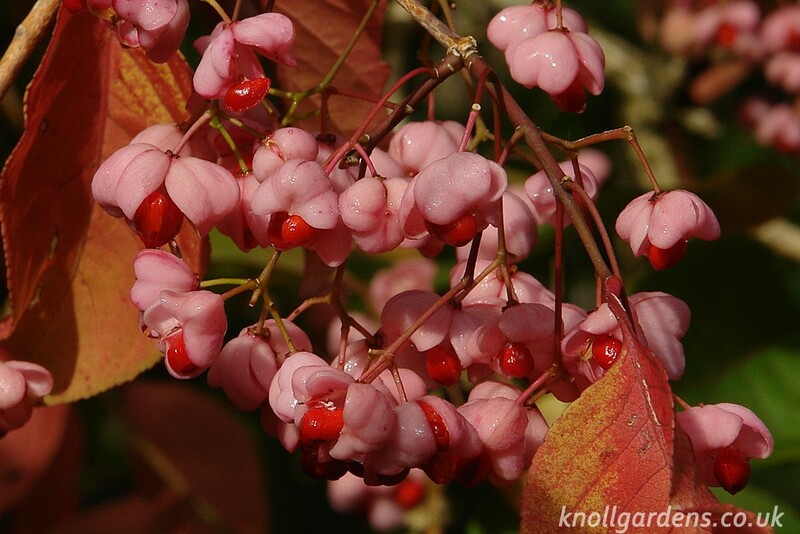 Euonymus sieboldianus (below), has made a graceful small tree whose branches are now hung with heavy bunches of pink and red fruits that never fail to fascinate all who see them. 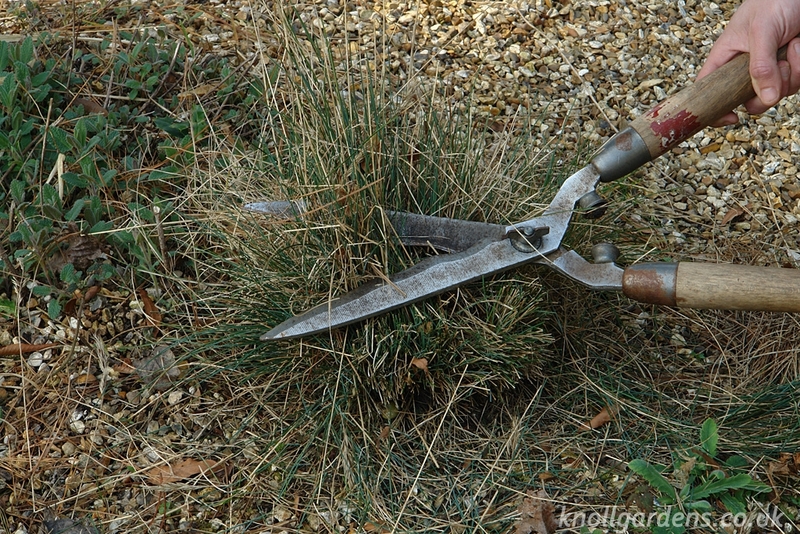 Add to this the pink autumnal colourations of the leaves and it is not difficult to see why they have such show stopping appeal at this time of year. 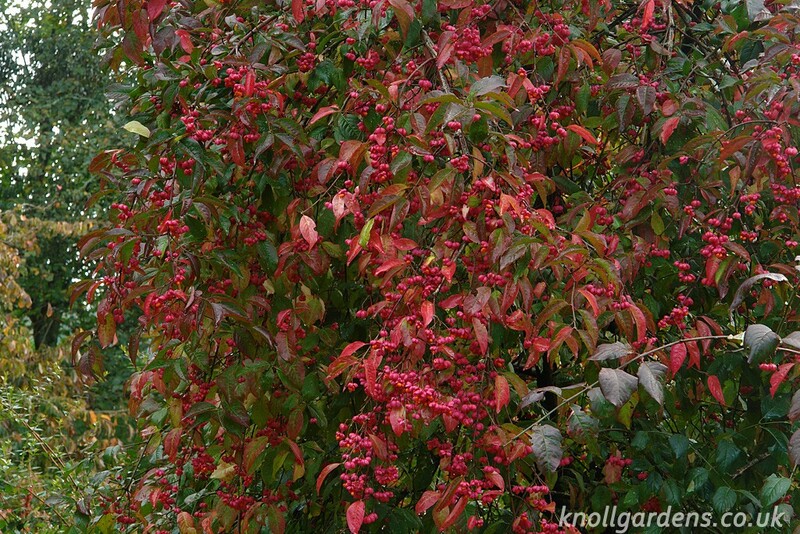 Possibly rather better known is Euonymus Red Cascade (below), whose combination of orange and red fruits is scarcely less breathtaking. At first it is the fruits, hanging from distinctly pendulous branches, which excite interest but now that the foliage is beginning to show its trademark bonfire red colouring the whole plant seems to be the perfect large shrub for autumn and I think perfectly explains why this time of year is my very favourite of all the seasons. It is a festival and a celebration of colour, light, texture, shape and form that no other season can quite match. 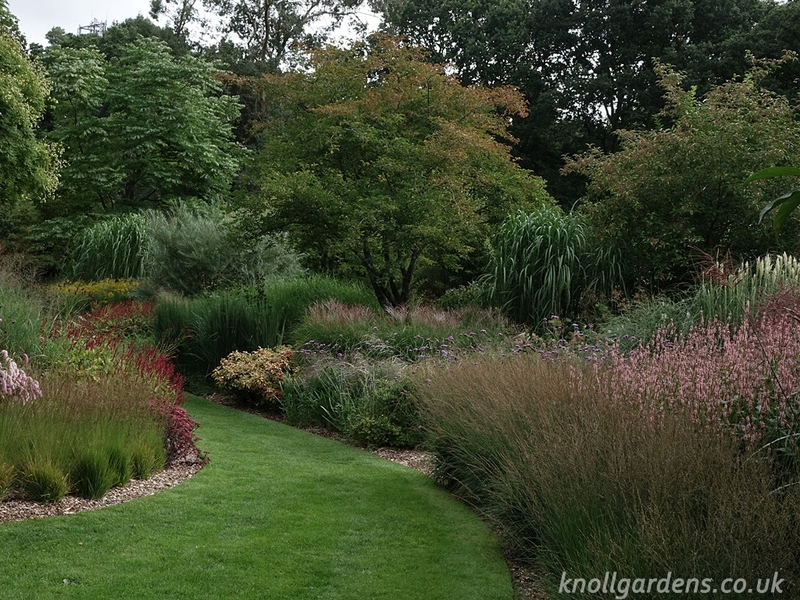 Both these beautiful spindle strees are or more or less in the middle of the garden at the top end of the Lower Lawn, though some good few metres apart from each other, and were good specimens even when I arrived at knoll just over twenty years ago. There is however, now another fabulous spindle that is rather younger and arose as a seedling some years back that I love as much as the originals. 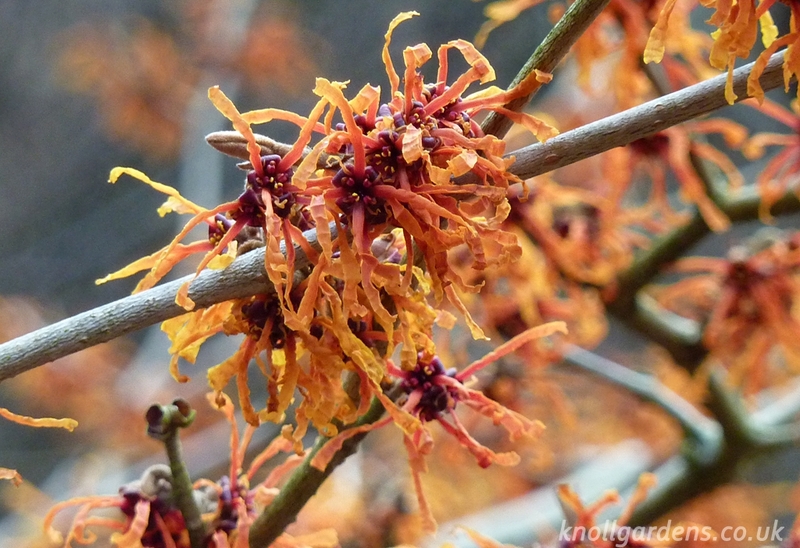 It has yet to have a name but this year its strong branches are absolutely laden with deep pink fruits that easily compete with the other two for our visitors attention. Close by are the bare yellowish streaked stems of the moosewood, Acer pensylvanicum var. 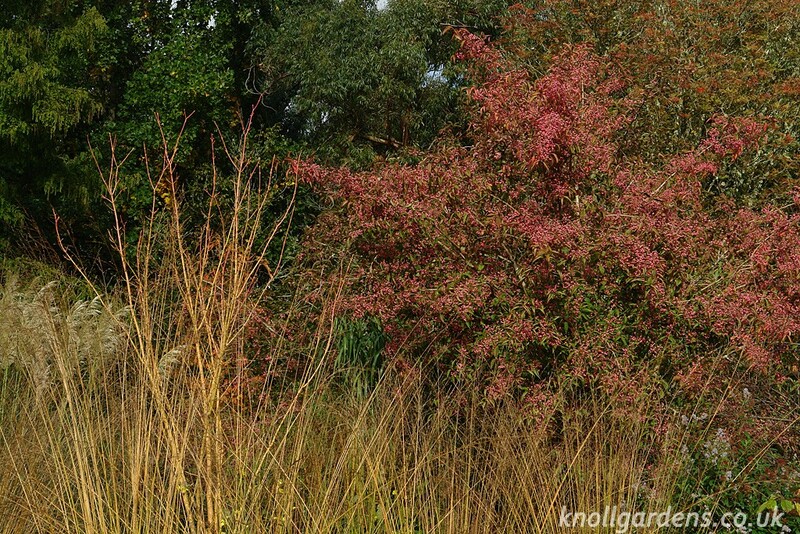 Erythrocladum and the tall constantly moving delicate looking stems of the tall purple moor grass, Molinia arundinacea which surround both sides of a pathway and create a tunnel of movement and colour at this time of year.